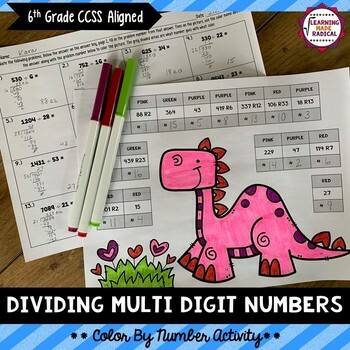 Students will practice working through dividing multi-digit numbers. 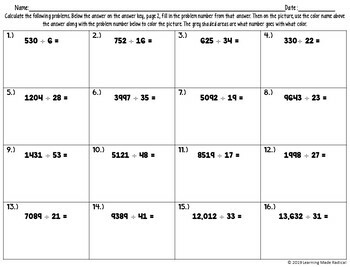 Students will have answers with whole numbers and some with remainders. The problems can be seen in the preview. There is enough room within each problem for students to show their work. 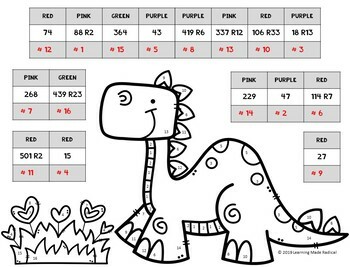 Add the coloring part in and kiddos will have a fun activity to complete! Best part - print ready activity! Print it off and hand out to your students, ready to go!